I really like these kinds of videos (and I hope we see more of them this season! ), but sometimes I wish they'd just let the play go in full speed or even slow motion all the way through so we can see how the play looked organically before they start stopping/starting a million times. Tim Williams though is gonna be a dude for us. Standing out as the only receiver on this list on a new team in 2018, the former Oakland Raiders (2015-17) and San Francisco 49ers (2009-14) receiver in Crabtree has always drawn rave reviews for his efforts in the red zone, and his 2017 campaign was no different. Despite playing just 40 snaps in the red zone all last season, Crabtree hauled in seven of his 14 red-zone targets for 20 yards and five touchdowns with the Raiders a year ago, fueling his first-ranked offense grade (87.3) and third-ranked receiving grade (85.4) inside of the 20-yard line. He also didn’t drop a single catchable pass thrown his way and caught three of his seven contested red-zone targets for touchdowns. Crabtree’s success inside the red zone couldn’t keep him from being shown the door in Oakland, but his release has maybe put him in a better position to show his strengths. Veteran wide receiver Mike Wallace, who is now suiting up with the Philadelphia Eagles, was the Baltimore Ravens’ only receiver with 10-plus targets in the red zone a year ago. 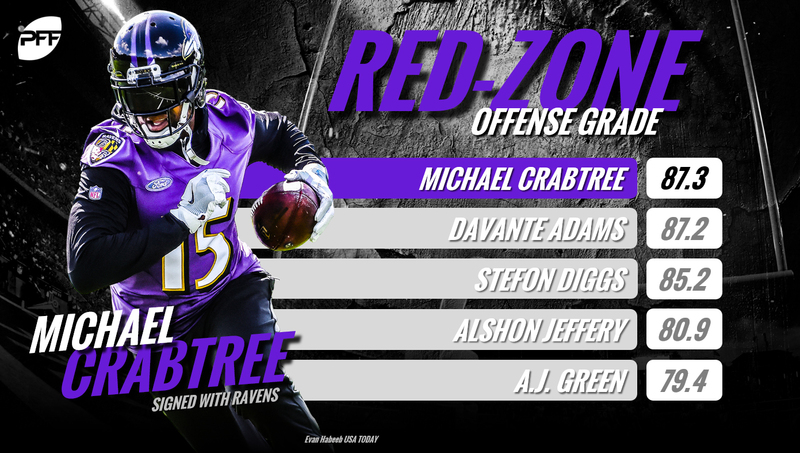 Crabtree should replace Wallace as the Ravens’ go-to guy in the red zone and raise the bar in terms of production, as Wallace had caught just three of his five catchable red-zone targets for three touchdowns in 2017. With the retirement of Joe Thomas, there is a strong case to be made that Yanda is now the most obvious Hall of Fame-caliber offensive lineman currently active in the NFL. 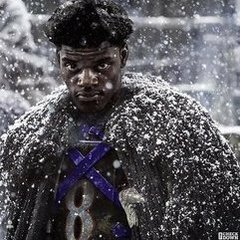 Coming off a season ending injury, just $3.95 million of his salary is guaranteed, but it’s the value he brings to the field for the Ravens that is really important. 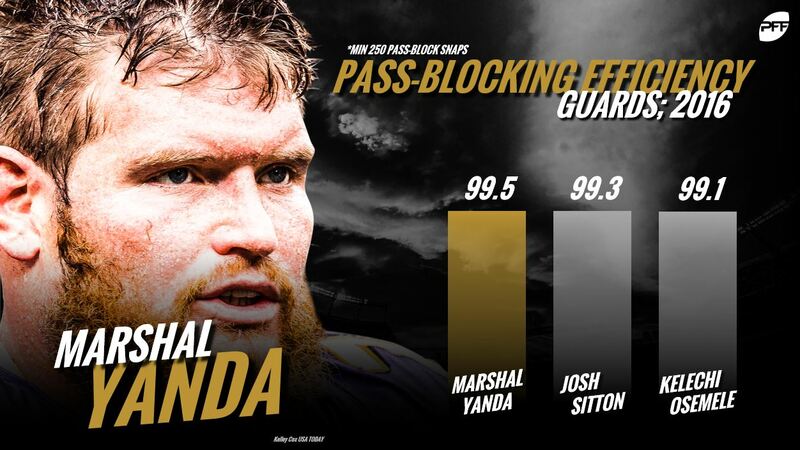 Yanda has produced PFF grades of 80.0 or higher in every season, and that includes a rookie year in 2007 that he spent out of position at right tackle. In his last 1,400 pass-blocking snaps, Yanda has allowed just one sack. Yes, one sack. In 2016, he led all guards in pass-blocking efficiency. @Edgar at it again. Great video on Kenny Young vs Colts. Zach Sieler's disruption takes away from the blitzes Edgar is trying to highlight. lol Such a find in the 7th.